All Green Electronics Recycling offers professional shredding procedure of hard drives in Philadelphia. Be careful in choosing a service provider for Hard Drive Shredding. Electronic Recycling in Philadelphia is very accessible now. With us, you are assured that all your e-waste items will be handled properly with the right company capable in providing the best services for you. Our company can provide you the opportunity to make your disposable computer items beneficial to our environment. In Philadelphia we can responsibly recycle your old items. Contact us now! And don't just put your disposable items in the landfills for it will only add to the environmental problems we are facing nowadays. We are now experiencing the effects of environmental damage we people have made. Improper disposal of IT assets can only add to the problem. This is the reason why All Green Electronics Recycling created a recycling methods which is responsive to what our environment needs now. A number of criminals turn to trash to make money. There is money in trash—especially if the trash is in the form of important information. And many of this information are deleted data from hard drives that have become trash. “Criminals source old computers from internet auction sites or in rubbish tips, to find users’ valuable details, and a number of recent cases have shown the dangers in disposing of second-hand equipment,” a BBC report read. The conclusion is that companies should hire a Philadelphia Hard Drive Shredding company like All Green Electronics Recycling. 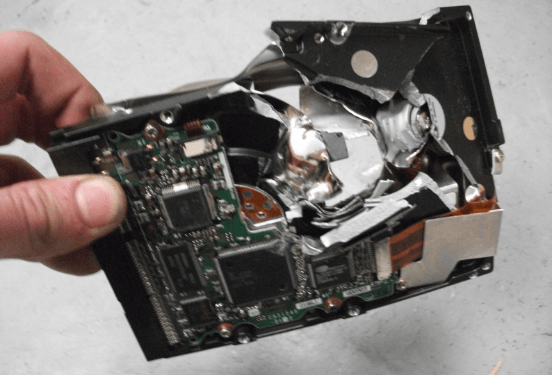 It is not enough that an individual or company physically destroys a hard drive with a hammer. Data, even those already deleted, cannot be destroyed by a mere hammer over a microchip; there is a special equipment for that. Besides, criminals will find ways to make money. “A number of software solutions exist to more definitively erase files and information,” the same BBC report also said. The entire state of Pennsylvania was founded by Quaker and entrepreneur William Penn in the late 17th century. But the city of Philadelphia had a special place in his heart, carefully planning and managing the city’s development. Now, the city known as the City of Brotherly Love, has a population of close to 1.6 million people, making it the fifth most populous city in the country. We have a mobile shredder that has an advanced data security system that will make it impossible for entrepreneurial individuals to recover a data that may be used unscrupulously. The mobile facility is equipped with an Untha RS-30 shredder that can go through hundreds of drives in less than an hour. In the case of Pennsylvania, there is a Philadelphia Hard Drive Shredding.